Mostly, a job application procedure is clear and easy. Nevertheless, some applicants, applying for a job make mistakes that really influence the course of their future career. Such mistakes cost too much and you won’t get an opportunity to get the job you want. In current times, the competition for jobs is fierce. So, when you apply for one or another job, you need to be sure that you took into consideration everything. In this review, we’ll take a look at the most common job application mistakes. As the saying goes forewarned is forearmed! You don’t read instructions attentively. It means that you don’t understand the real intent of all questions of the application procedure. Don’t be in a hurry and read each question very attentively. Just walk in the shoes of an employer – you don’t have a desire to hire an employee who is not going to follow your directions! You don’t Fill in All Fields of the Application Form. In some instances, you will be asked to repeat the information which is already mentioned in your resume. So repeat it and don’t write the words “see the attached file with my resume”. Instead of this, you should focus on showcasing those skills that are relevant to the chosen job position. Fabricated information doesn’t work in your favor. Sooner or later an employer will find out that you lie. For that reason, forget about puffing up your credentials. This is a crucially important factor, because a resume or CV comprising too many mistakes will spoil your reputation. These days, there are lots of free online grammar and spelling checkers. So, before you send your resume, check it through the use of such programs. You don’t explain the job gaps. If you really have too long employment gaps, you need to explain them. Furthermore, if you have some legitimate reasons why you were not working for a definite time period, explain this. You Use an Unprofessional Email Address. Though this factor is not so significant as the above-listed ones, but it also matters. If you have an email address, which sounds like [email protected], it will be better if your change it for anything more serious. The best way is to use your first and last name in your email address. 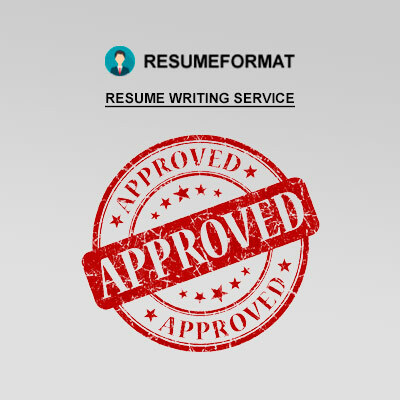 If you are hunting after anyone, who can help you create a resume free from mistakes and the one which will really help you land a job, welcome to ResumeFormat2015! Our writers are experienced professionals in the area of resume writing. So, they will definitely assist you!